Anna has always been a process girl. 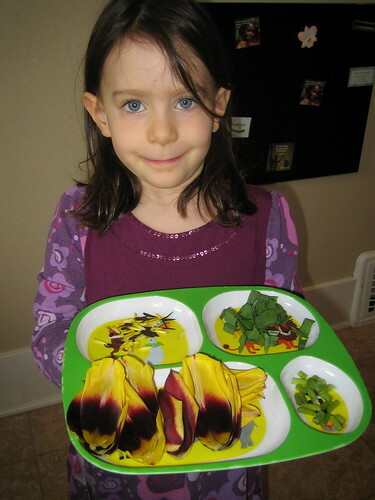 Before she could walk, she would create amazing installations using whatever was in reach (tea and sugar packets were favorites). I've always been fascinated by her process, and have tried to document it when I have the opportunity. 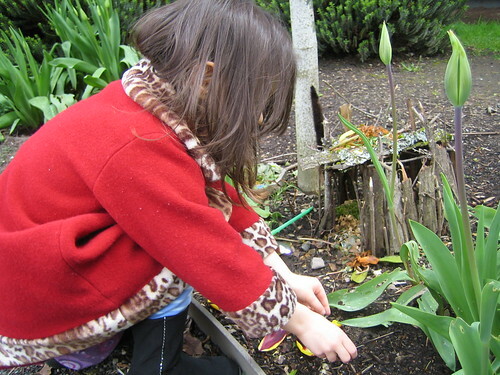 Our tulips are in bloom again, and Anna's been patiently waiting for some of the cut ones to wilt, so she could claim them for her fairy house. I had no idea where this was going, but she seemed to know all along. 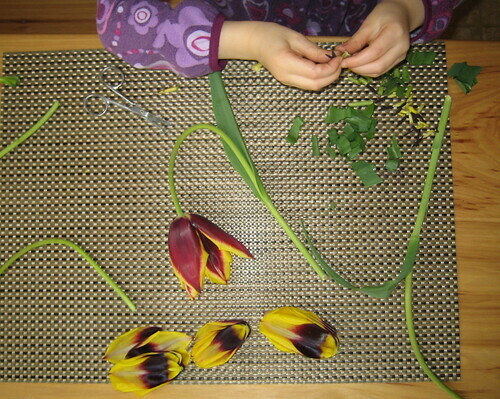 She began by systematically dissecting each flower, separating the petals, leaves, stems, and stamens. 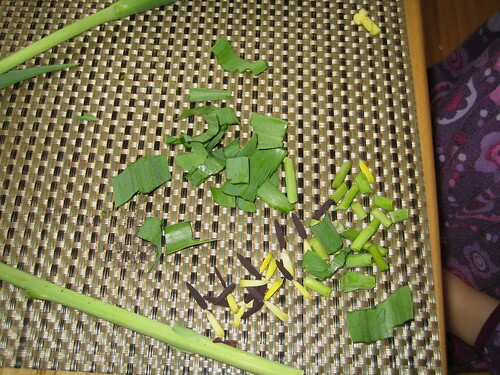 Leaves and stems were then cut into smaller pieces. 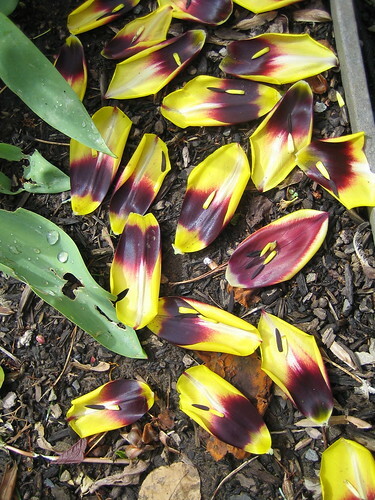 Once everything was just so, she arranged each pile on a tray to carry outside. 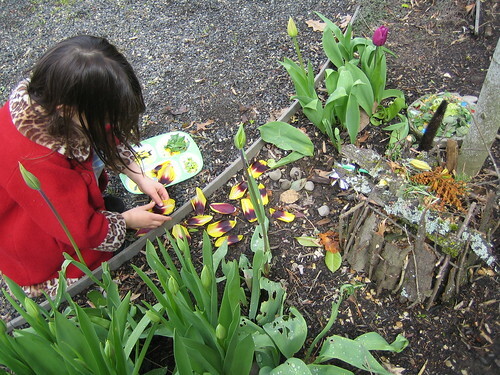 Petals were laid down in front of the fairy house. 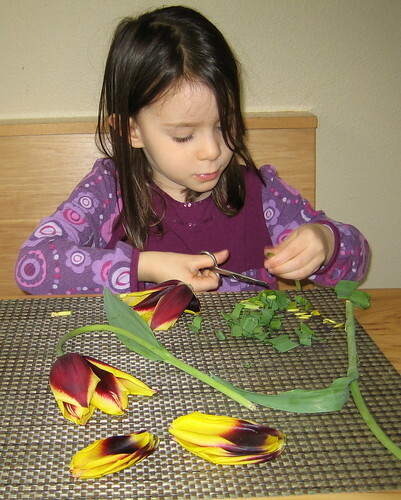 Stamens were then placed on each petal. Voilá, fairy beds.